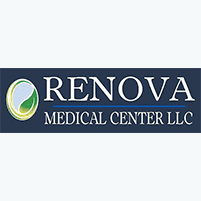 Renova Medical Center weight loss program is the perfect way to accelerate your weight loss goals! Lose over an inch in 15 minutes!!! InvisaRED is the latest in body slimming technology that can be used to shorten the time it takes to reach your desired weight loss goal. Treatments are safe, non-invasive, and a painless alternative to traditional fat reduction procedures. Each session removes up to 1 inch of unwanted fat from any problem area. Treatments are ideal for both men and women, eliminating the fatty areas that are unresponsive to diet and exercise. MIC Injections are intramuscular injections (IM) compounded to the exact needs of patients. Injections are often prescribed weekly or biweekly and for multiple weeks. I INOSITOL is a nutrient belonging to the B vitamin family and is closely associated to choline. It aids in the metabolism of fats, helps reduce blood cholesterol and participates in the action of serotonin production. C CHOLINE supports the health of the liver in its processing and excretion of chemical waste products within the body. It is required for the transport and metabolism of fats and cholesterol within the body, which is important for the healthy support of the endocrine, cardiovascular and hepatic system. B Vitamins are often added in different forms and/or doses as a supplement to MIC injections. THIAMINE B1 helps cells convert carbohydrates into energy. Also essential for the functioning of the heart, muscles, and nervous system. RIBOFLAVIN B2 an easily absorbed micronutrient that plays a key role in energy metabolism, the metabolism of fats, carbohydrates, ketone bodies (a vital source of energy during fasting), and proteins. NIACINAMIDE B3 assists in the functioning of the digestive system, skin and nerves. An integral component in the conversion of food to energy. PYRIDOXINE B6 required for more than 100 enzymes involved in protein metabolism and essential for red blood cell metabolism. The nervous and immune system utilizes B6 to function efficiently, and to convert tryptophan (amino acid) to niacin (vitamin). Lose ½ - 1 pound per DAY! HCG, Human Chorionic Gonadotropin, is a pro-hormone that is naturally produced in the placenta during pregnancy. It is a natural weight loss hormone proven to help lose fat and gain lean muscle! HCG injections have been shown to raise the blood levels of HCG, making it the only effective way of taking the hormone. Any drops, pills or sprays are likely to be dissolved before ever reaching the blood, rendering them ineffective. HCG Injections change how your body loses weight, to faster and more effectively. The presence of HCG in the bloodstream helps curb the appetite. With HCG injections, there is more of a pure fat loss because the presence of the hormone causes not only the mobilization of fat deposits, but the excretion of them as well. Generally when people lose weight a lot of muscle is lost as well which in turn slows down metabolism. By raising hormone levels in the body, such as testosterone, HCG creates an anabolic state which contributes to lean muscle gain. The lean muscle gains allows for stronger metabolism and helps people maintain their weight loss long after the program is successfully completed. Patients can expect to lose ½-1 pounds per day on average. What is the scientific mechanism behind this increased metabolism? HCG is a dimer consisting of a 145 amino acid beta-subunit that is unique to HCG and a 92 amino acid alpha-subunit. The alpha-subunit is identical to that for luteinizing hormone (LH), follicle-stimulating hormone (FSH), and thyroid-stimulating hormone (TSH). FSH & LH stimulates production of androgens (Testosterone, Estrogen, and Progesterone). These androgens increase muscle building and maintenance, fat loss, and fertility.TSH stimulates the Thyroid production which is known for increasing basal metabolic rate and cell turnover. DISCLAMER: These weight reduction treatments include the injection of HCG, a drug which has not been approved by the Food and Drug Administration as safe and effective in the treatment of obesity or weight control. There is no substantial evidence that HCG increases weight loss beyond that resulting from caloric restriction, that it causes a more attractive or "normal" distribution of fat, or that it decreases the hunger and discomfort associated with calorie-restrictive diets.